The upper floor has administrative offices, meeting rooms, etc., and is open to the floors below under the rotunda. 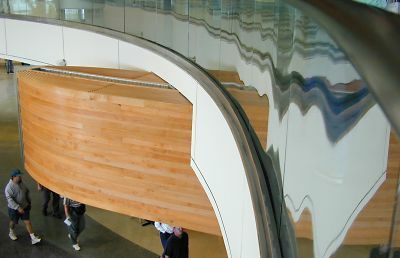 I liked the curving glass of the handrail and the prow-like beams that connect the rotunda with the departure hall. (I just wish the beams were structural elements instead of tacked-on decoration.